(Allen, Carrollton, Coppell, Dallas, Fairview,Frisco, Garland, Irving, Little Elm, McKinney, Mesquite, Murphy, Plano, Richardson, Rockwall, Rowlett, Sachse,Wylie). WE ARE LOOKING FOWARD TO HEARING FROM YOU. Got an appliance around the house that needs fixing? 7 Star Appliance can repair all household appliances, including refrigerators, washers, dryers, compactors, microwaves, stoves, ovens and dishwashers. For Quick & Speedy appliance repair service. 7 Star Appliance, Family-Owned-and-Operated business with factory-trained techs with a wide range of appliance repair knowledge for more then just washers and dryers. We can provide warranty on almost all repairs. Our Goal is to use Quality Workmanship to repair your appliance and Excellent Customer Service that will leave a Smile on your Face. 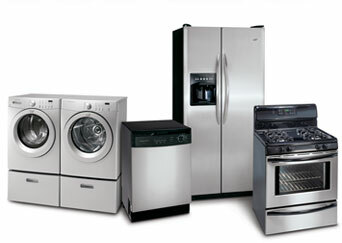 For quick appliance repair on all household appliances. Copyright 2009 7 Star Appliance Service. All rights reserved.